The new Grace Baptist Church student ministry center, designed by Studio Four Design and built by Merit Construction, features a 700 seat auditorium, a lobby with a café, a large game room, staff offices, meeting rooms and quiet spaces for studying and small group fellowship. Photos courtesy of Merit Construction. KNOXVILLE, Tenn. December 20, 2016 – Grace Baptist Church, a Knoxville-based church with the goal of changing lives that change the world, celebrated the opening of their new 24,000 square foot student ministry center, designed by worship facility specialists and top architecture and design firm Studio Four Design, this past Sunday, December 18. The new facility, which was built by Merit Construction, features a 700 seat auditorium, a lobby with a café, a large game room, staff offices, meeting rooms and quiet spaces for studying and small group fellowship. The previous student ministry took place in a shared space, however about two and a half years ago, the leadership at Grace Baptist Church felt like it was time to make the move to a dedicated facility because they had student services that were reaching max capacity. With the help of Studio Four Design, they dreamed up visions of what they wanted the new space to look and feel like, and began building concepts. For more information about Grace Baptist Church and the new student ministry center, visit http://www.gracebc.org/. Founded in 1916, Grace Baptist Church’s goal is to change lives that change the world. They believe that this can only be achieved by sharing Christ with others through “Developing Disciples Who Develop Disciples.” Grace offers two services on Sunday morning, along with bible studies and other activities throughout the week. To find out more, call 865-691-8886 or visit http://www.gracebc.org/. Published on December 20, 2016 by Ripley PR. The University of Tennessee will begin a new phase of renovation work at Thompson-Boling Arena in January, 2017 and the team at Studio Four Design is honored to have been selected to work on the project. 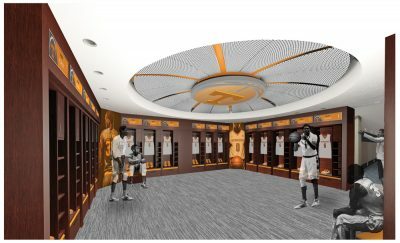 The work will include the addition of four new locker rooms to the west side of the Arena that will be used by visiting basketball team, the Tennessee volleyball program and for special events that are held at the facility. 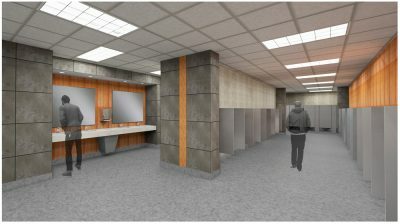 The next phase of the renovation will begin in May, with renovations to the men’s and women’s basketball locker rooms that will enhanced, enlarged and modernized with the latest technological enhancements. Additionally, this next phase will included expansions for the on-site athletic training facility that will be used by both basketball programs. 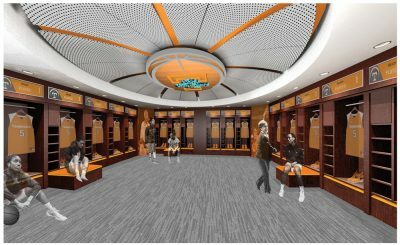 Renderings, from top to bottom: UT men’s basketball locker room, UT women’s basketball locker room, concourse restrooms. Published on December 9, 2016 by Ripley PR. 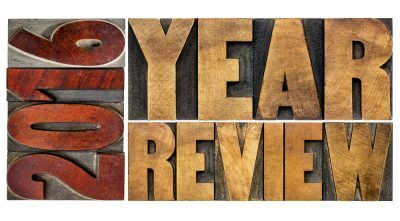 The end of the calendar year is often a time when many churches begin planning for 2017 and beyond for capital improvements or upgrades to their existing facilities and worship centers. With church construction expenditures totaling $3.4 billion dollars in 2016 with a projected increase of over 4 percent expected in 2017, finding ways to maximize dollars that are raised towards expanding ministries may lead some church leaders to select partners for their building projects that may not deliver the desired results for sustainable growth. Hiring a church design expert, and not simply an architect who may be unfamiliar with the needs of a place of worship, can allow your church to realize a greater return on your investment in your facilities. For the church design experts at Studio Four Design, our knowledge and expertise in a variety of worship facility projects allows us to bring a unique perspective to our church clients. In our experience, when your church or worship center is asking its congregation or members for a large capital investment, stewardship is an important point of emphasis for the design and creation of your space. The analogy that we allude to in our work is based upon the ideas of specialists; if you have a specific health or legal issue, you will consult with a doctor or lawyer who is a specialist in their chosen field. The same holds true for church and worship center design; instead of working with an architect who is a generalist in design, consulting and working with specialists in church design, like the team at Studio Four Design, can help you create specialized solutions specific for your individual needs. Knowledge and Expertise: Specific problems related to church design are better suited for success when leveraging the knowledge and expertise of a specialist who has dealt with them before. Church designers can leverage a breadth of collective experience to solve problems specifically related to the needs of your church, while adding value in the planning process to help ensure an overall smooth delivery process. Our team’s experience can bring a new perspective to your church by asking specific questions and offering insights based on prior successes and lessons learned. Our knowledge and experience can help to identify potential opportunities and obstacles that can be addressed in the planning stages and set the table for a successful design process. Value: Experts in church design can bring higher value propositions to clients, based upon a broad scope view of what needs to be accomplished. A church design expert should be able to look beyond strictly “bricks and mortar” concepts in the design process and identify any components of the project that could impact or delay the building process and those that might add additional expense that should be considered within project and construction budgets. At Studio Four Design, our church design team can add value in this process through our experience to help develop realistic budgets and identify design alternatives to develop solutions to help enhance the mission of your church. Teamwork: When you are searching for a church designer, understand that an expert may be more local than you may think. Although the expert you need may not reside in your particular town, through the application of technology they can be easily accessible via online meetings and web based project command centers that enhance project team communication. From a teamwork perspective, the use of technology can allow nearly instantaneous access to the design team, while decreasing costs associated with multiple travel expenses, thus allowing your church to save on expenditures. When you work with our team, you are working with a close-knit group who takes inspiration in solving problems for our clients. This sense of teamwork and collaboration extends to how our team does business with our clients as well. In addition to our capabilities to utilize technology to facilitate the design process, our firm has also worked in association local architects to deliver projects. Collaboration with a local design partner allows us to bring our specific experience to the church while using the local professional to help the team deal with local codes, zoning and other conditions that may be unique to the permitting and construction process. In addition, a local partner can assist with drawing production, peer review, and quality control during construction. This allows our clients to access our expertise while taking advantage of local familiarity and accessibility. If your church or worship center is ready to expand your existing space or develop a brand new facility in 2017, taking advantage of our knowledge and expertise can help you to develop a design solution that will help you advance your mission. To learn more about our experience in church facility design, please contact Studio Four Design today to let our church design experts guide you through the process. Published on December 8, 2016 by Ripley PR.